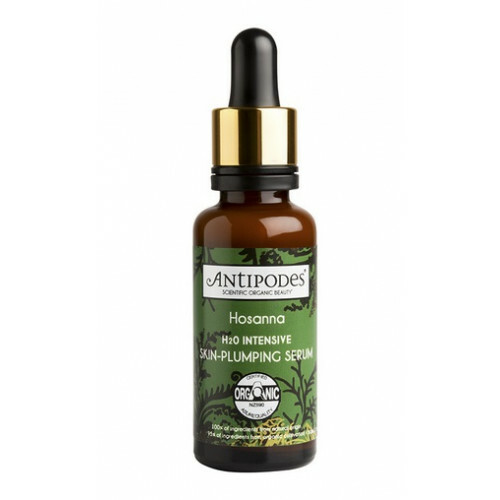 Antipodes Hosanna H2O Intensive Skin-Plumping Facial Serum 25ml is a water charged serum which helps to intensively improve your skin appearance over time. Vinanza Grape is rich in antioxidant and supports improving elasticity and firmness. Daily Apply to your face, neck and decolletage with the lid dropper before face oil or moisturiser. It is suited to all skin conditions, especially water-deprived. * Componant of essential oil. ** Certified organic ingredient.